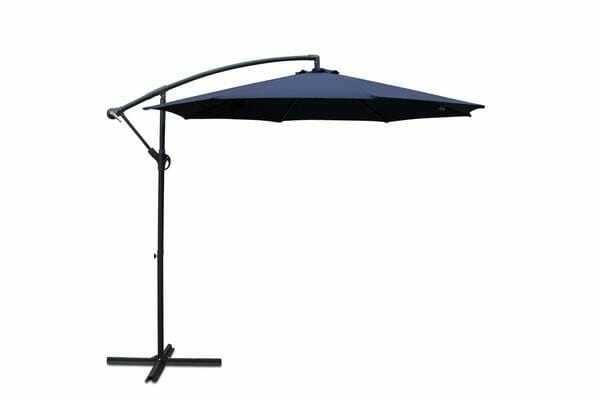 Featuring a high quality waterproof and UV-resistant polyester fabric, cantilever side column with a top diameter of 3 meters, this Cantilevered Outdoor Umbrella can provide the maximum shading space. Better yet, you can adjust the shading Angle according to the sun’s orientation. 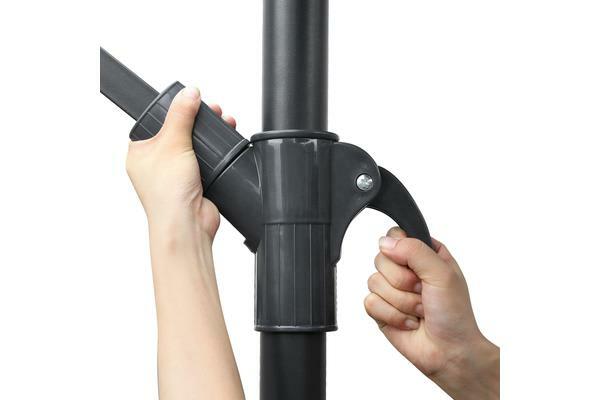 It’s easy to open and close with a user-friendly cranking system. The power-coated 8-rib top supports and supporting pole are for toughness while the steel base can be readily bolted in place or weigh down. 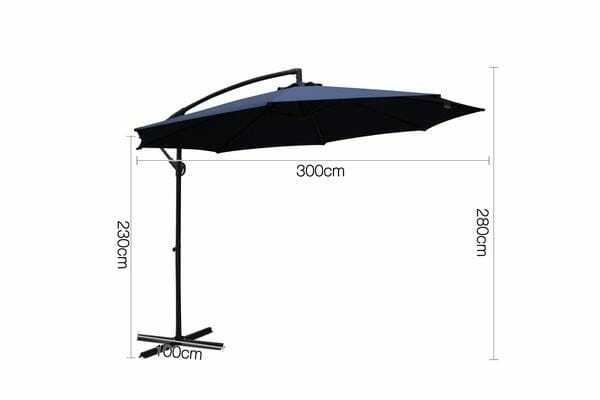 Go outdoor and have fun with our Cantilevered Outdoor Umbrella.